Bitcoin Creator Has Finally Unmasked Himself. Maybe, Real? Five months after Wright, an Australian computer scientist and businessman was outed as Satoshi Nakamoto, revealed himself as the original inventor of Bitcoin digital currency. Wright has published a blog post offering Cryptographic Key as proof of his work, backed up by other technical information and the prominent Bitcoin community members have also corroborated his claim. 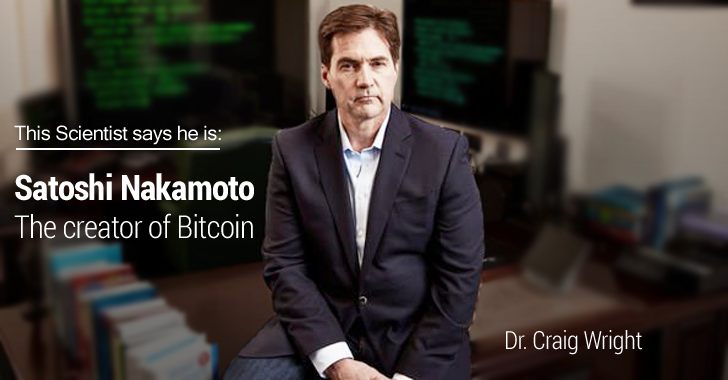 However, Satoshi Nakamoto has always shown the desire to remain anonymous, while Wright has not. "I am not seeking publicity, but want to set the record straight," he explains. Wright has provided some technical proofs to BBC, The Economist, and GQ media outlets that link him to the identity of Nakamoto. At the meeting with the BBC and Economist, he digitally signed messages using the same cryptographic key that is connected with the first bitcoin transaction. "Mr. Wright digitally signed messages using cryptographic keys created during the early days of Bitcoin’s development. The keys are inextricably linked to blocks of bitcoins known to have been created or mined by Satoshi Nakamoto." "These are the blocks used to send ten bitcoins to Hal Finney in January  as the first bitcoin transaction," said Wright during his demonstration. These are undoubtedly linked to blocks of Bitcoins known to have been created, or mined, by Nakamoto. Wright also published a blog post on Monday, provided limited information which he says will allow others to cryptographically verify that he is the real Nakamoto. The founding director of the Bitcoin Foundation, Mr. Jon Matonis, is convinced that Wright is Satoshi Nakamoto, as explain in his latest blog post "How I Met Satoshi." However, last year Wired and Gizmodo identified Wright as the mysterious creator of Bitcoin, but their evidence met with some doubts. Soon after the stories broke by several media outlets, Australian federal authorities raided the home of Wright, sifting through his garbage. However, these new report suggests that Wright has strongly claimed to be the original creator of Bitcoin. "Some people will believe it, some people will not, and to tell you the truth, I do not really care," Wright told the BBC, adding that he was the main part of the creation of Bitcoin, but other people helped him. On the other hand, encryption experts have expressed doubt. JoukeH, a Reddit member discovered that the signature on Craig Wright's post is worthless, as it is not a signature of any "Sartre" message, but just the signature inside of Satoshi's 2009 Bitcoin transaction. "It absolutely doesn't show that Wright is Satoshi, and it does very strongly imply that the purpose of the blog post was to deceive people." he says. Hey Wright, Can You Prove Ownership of 1 Million Bitcoins? 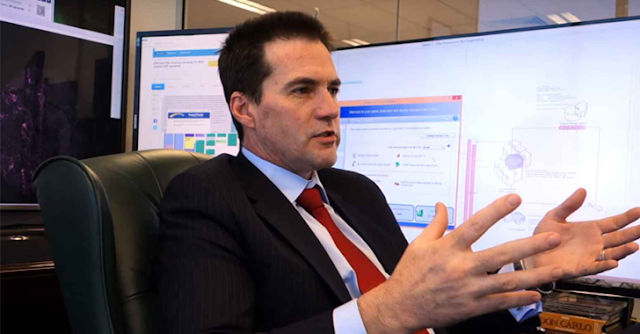 Wright has also planned to release some more information that would allow the highly skeptical cryptographic community to verify that he is Satoshi Nakamoto. One such proof required is the ownership of 1 Million Bitcoins (worth more than $400 Million) that in theory only Nakamoto possesses. Johns Hopkins cryptographer Matthew Green told Wired that if Wright is actual inventor of Bitcoin, he should have access to the private keys that control the earliest mined Bitcoins by Nakamoto. Since those Bitcoins have never moved in the seven-year-long history of Bitcoin, Wright can transfer some part of those oldest Bitcoins to a different address in order to prove the possession of the keys.